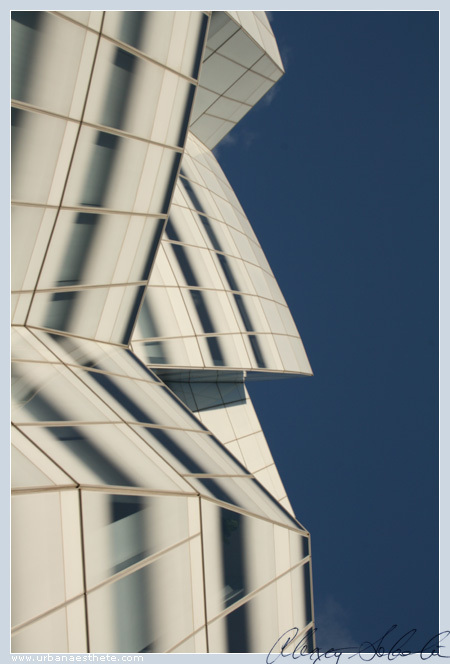 Urban Aesthete | Abstract Photography and Futurist Narrative » Blog Archive » Series: Gehry’s IAC-2. 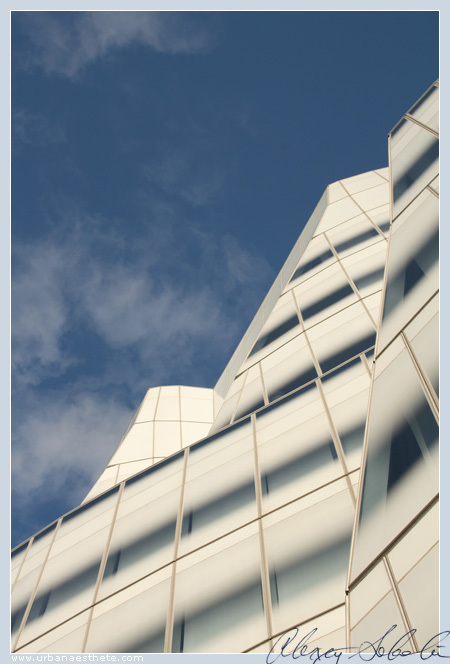 Series: Gehry’s IAC-1. Series: Vertigo-4. This shot cuts the composition in 2: sharp positive and negative space battle for control. Striped energy balances these tendencies.